States joining the march toward marijuana legalization need to take a step back and consider the drug's adverse effects on health, the U.S. drug "czar" argues in a new paper. 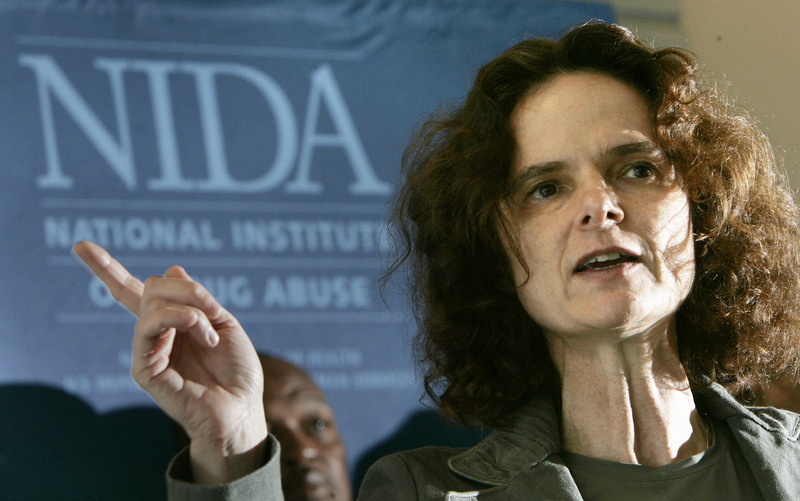 Marijuana is potentially addictive, proven to contribute to fatal motor-vehicle crashes, and can disrupt the brain function and learning of young users, says Dr. Nora Volkow, director of the U.S. National Institute on Drug Abuse. Legalizing pot will lead to the sort of nationwide health problems now attributed to alcohol and tobacco, said Volkow, lead author of a review article in the June 5 New England Journal of Medicine. Tobacco and alcohol have a far greater impact on health in the United States than illicit drugs, as their legal status make them more widely available for use, she noted. "By making marijuana legal, you have more widespread use and many more health implications," Volkow said. "We don't need a third legal drug. We already have enough problems with the two we have." The pro-marijuana advocacy group NORML agrees that pot "is not a harmless substance," Deputy Director Paul Armentano said. "But its potential risks to the individual and to society do not warrant its present schedule I illicit status under federal law, a classification that improperly argues that the plant lacks any accepted therapeutic value and that its risks equal those of heroin," Armentano said. Volkow is making her argument as the political winds continue to shift toward pot legalization. Last week, the Republican-controlled U.S. House of Representatives voted in favor of preventing the federal government from interfering with states that allow marijuana use for medical reasons. Medical marijuana is legal in nearly half the states. "Public opinion is shifting," Rep. Dana Rohrabacher, R-Calif., said at the time. In the new article, Volkow and colleagues said marijuana is addictive, contrary to popular opinion. Research has shown that 9 percent of people who try pot will become addicted, she said. Pot's effect is even stronger among young people, addicting 17 percent of users under 18, she said. "This is something that a lot of people who are pro-marijuana deny. The evidence shows otherwise," Volkow said. Marijuana also poses a public safety risk. People intoxicated by pot are 3 to 7 times more likely to cause a car crash than someone sober, Volkow said. Most troubling is the tendency for teens and young adults to use pot and alcohol at the same time, which increases the risk of a wreck more than if they used either drug on its own, she added. Pot also appears to affect brain development in young users. Scans have shown that teenage pot users suffer from decreased brain activity and impaired connectivity between key brain areas, Volkow said. "During adolescence, there is a tremendous amount of neuroplasticity," she said. "Regular use of marijuana is likely to have an adverse effect on the way the human brain gets connected and organized." This may explain why frequent use by teens is linked to lower IQ and higher odds of dropping out of school, the report noted. Serve as a "gateway" drug. Exacerbate mental illnesses such as schizophrenia. Increase the risk of health problems such as chronic bronchitis and cardiovascular disease. Legislators considering marijuana legalization should consider these effects, as well as all the gaps in current knowledge of pot's impact on human health, Volkow said. "What is unfortunate in my view is that the information that's being presented is not objective. It's very subjective," she said. "We all want to think there is this drug that could make us feel relaxed and good with no harmful effects. That's a lovely fairy tale we all wish were true." However, Armentano argues that "the ongoing criminalization of marijuana is a disproportionate response to what, at worst, is a health issue, not a criminal justice issue." The adverse health consequences associated with alcohol, tobacco, and prescription drugs are far more dangerous and costlier to society than the responsible adult use of cannabis, he said. "It's precisely because of these consequences that these products are legally regulated and their use is restricted to particular consumers and specific settings," he said. Legalization and regulation of marijuana will "best reduce the risks associated with the plant's consumption or abuse," Armentano said.